The former U.S. Army Ranger who fought alongside death squads in Syria and who was arrested upon his return, Eric Harroun, has been found dead in his father’s house in Arizona this week. "With deep sorrow, we regret to inform you of our beloved Eric Harroun's death. He will be missed by his family, friends, and many people around the world his life has touched," the family’s statement read. Although an official cause of death has not been released, Harroun’s sister posted a statement claiming that Harroun died as the result of an accidental overdose. 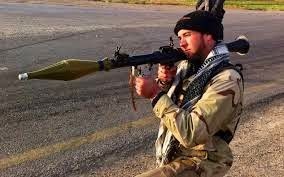 Harroun was arrested last year by the FBI for his association with known terrorist group and al-Qaeda affiliate Jobhat al-Nusra.